There is nothing more satisfying after a long cold day than coming home to a delicious Irish lamb stew. This has been a very cold winter so far, especially on the East coast, so comfort food becomes a priority in many homes. 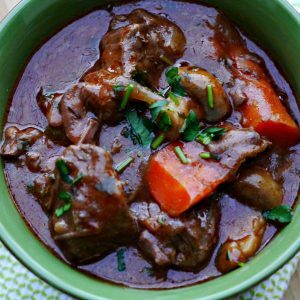 When it comes to a winning gluten-free Irish lamb stew, there are few things to know. First, you can’t use Guinness stout because it contains gluten. Then, it takes time, you can’t rush a good stew. The stew is simmered slowly and in stages. First, the meat is cooked in a delicious meaty sauce, then you add the veggies and cook the stew just long enough for the veggies to be tender but still firm. I don’t know about you, but when it comes to a stew, you want the meat to be tender enough, so it starts to pull apart and the veggies to be cooked but still keeping their shape. In order to get that delicious meaty flavour the meat has to be browned correctly, please see the instructions. 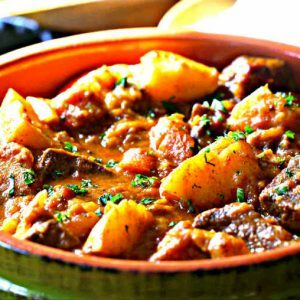 Then an essential part of making an amazing Irish lamb stew is, chill the stew overnight. By doing this, the flavour of the stew intensifies, and the sauce thickens. 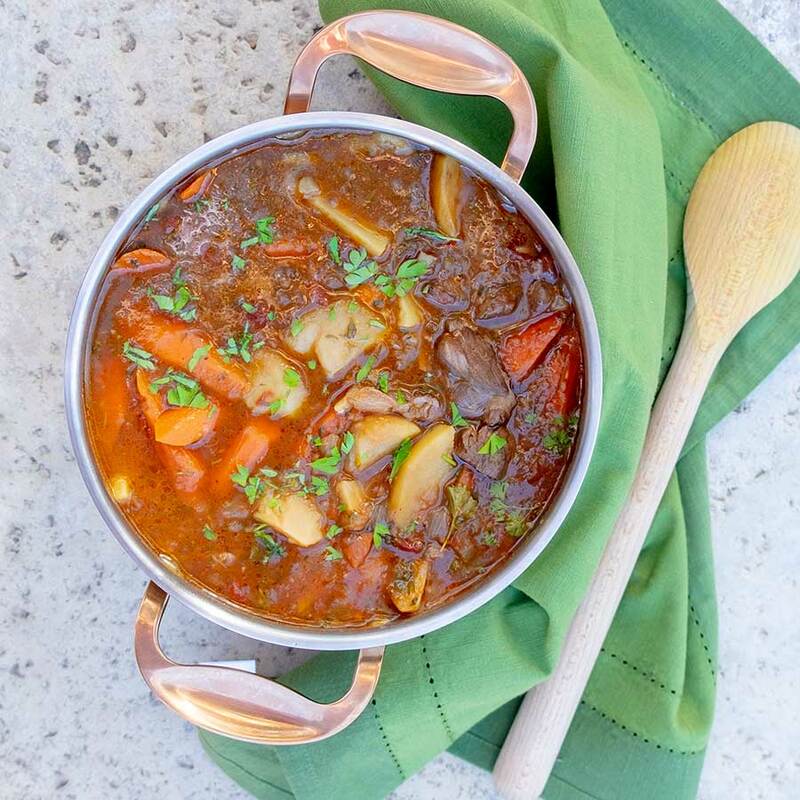 This Irish lamb stew won a 10 out of 10 in our test kitchen. 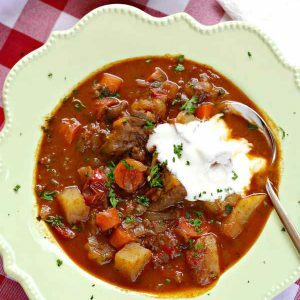 This stew goes exceptionally well with gluten-free chia soda bread. Enjoy! Remove from the heat and stir in fresh parsley. Cool and refrigerate overnight. This intensifies the flavours and thickens the stew.